← And Even the Ranks of Tuscany Could Scarce Forebear to Cheer. I realize that I have not written much about food recently. Hmmmm, food in Okinawa is like the bass drone on the pipes, the continuum in Baroque music, the cicada racket in summer. It is always there. Rarely the star after the initial enthusiasm but without which the experience would be meager. Tonight I eat fast food. I have another side of life which is rarely revealed in this blog that is called work. One of the great things at work is our restaurant where smiling people produce wonderful food, all of which is uber-fresh. They do kerry-oots. There is also a sushi store just up the road that does unpretentious we live round here sushi. Taro is my favorite vegetable at the moment. 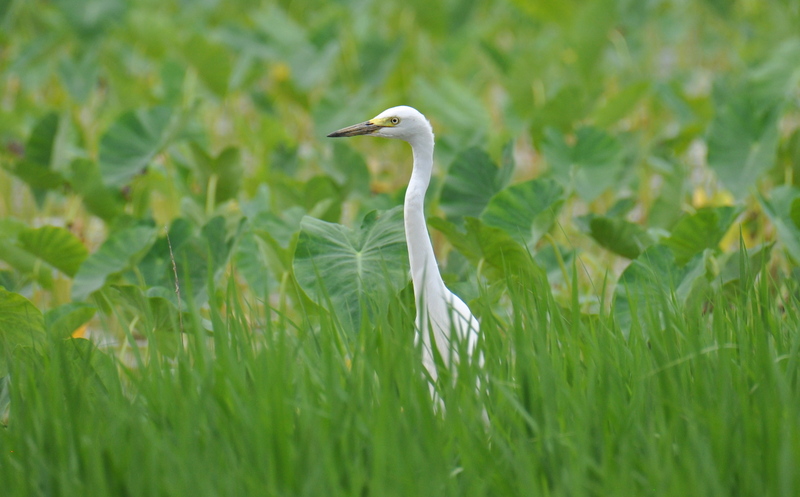 Taro behind, rice before, Intermediate Egret in the middle. 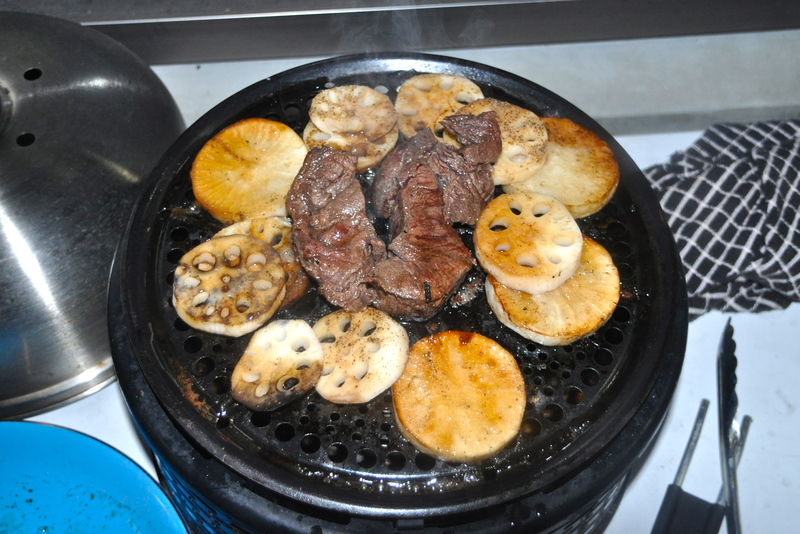 Last night I ate horse steak with daigon and lotus root. I have never understood the horse meat thing. Lambs are cute too. 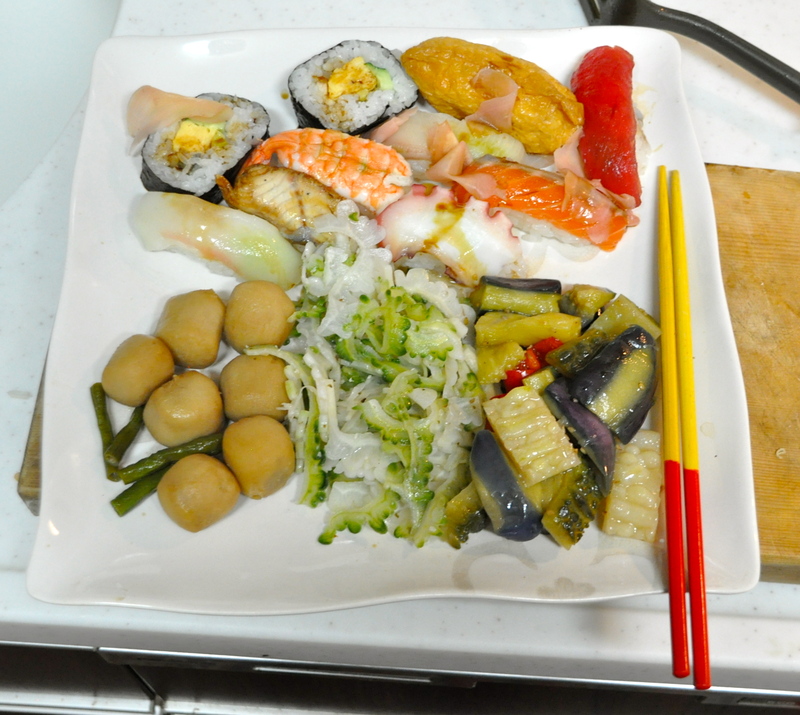 This entry was posted in Uncategorized and tagged horse, lotusroot, sushi, taro. Bookmark the permalink.